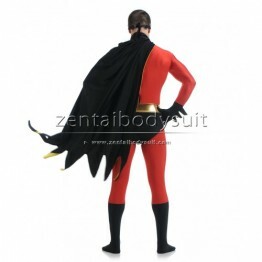 Red Robin is the name of several DC superheros associated with Batman. 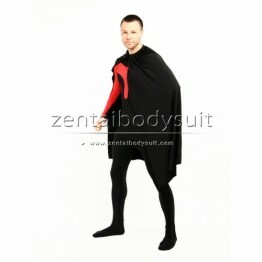 The cape and the briefs are ..
Red Robin is the name of several DC superheros associated with Batman. 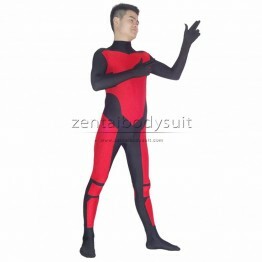 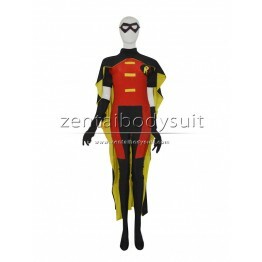 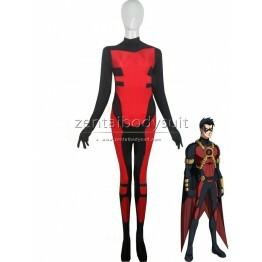 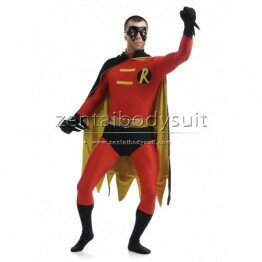 This suit is made of stretchy..
Red Robin is a name that has been used by several fictional characters in the DC Comics Universe. 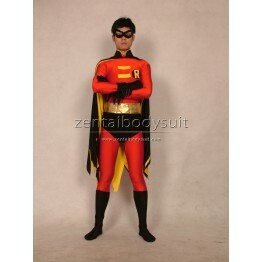 T..
Red Robin is a name used by several heros of the DC Comics. 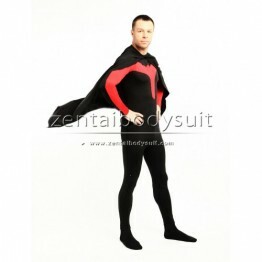 This one-piece suit is made of all span..